Most salaried employees are familiar with the provident fund facility from their employers. Employee and employer contribute to the provident fund for the employee as a retirement benefit option. The fund is managed by Employee Provident Fund Office (EPFO) or various trustee boards under the purview of the finance ministry, Government of India. VPF or voluntary provident fund is the additional contribution by the employee over the PF contribution. We will discuss its benefits, interest rate, withdrawal rules, taxation etc. in this post. Voluntary Provident Find or VPF is the additional form of Employee Provident Fund or EPF. The salaried individuals who want to contribute to the EPF account in excess to the specified limit is called as VPF. Generally, an employee has to contribute 12% of the basic salary (Basic Pay + DA) towards the EPF. The same amount is contributed by the employer in the employee PF account. Now if the employee wants to save more on EPF he/she can contribute more by opening a VPF account. The money goes to the same employee PF account. The employee can contribute a maximum of 88% of the basic salary towards VPF account (12% of basic salary is already contributed in the PF account). Remember in case of VPF your employer is not contributing anything towards the EPF account. The employer will continue to contribute only 12% which is applicable for EPF account and not for the VPF portion. You may be interested to know the employer contribution to Employee Pension Scheme (EPS) and free insurance with all EPF account holders. VPF is managed by Government of India. Hence, it is safe and reliable. It is a debt investment option and offers a fixed interest rate in a year. Even, the interest rate is higher than other debt investment options. The contribution to VPF up to Rs 1.5 lakh is tax exempted under section 80C of income tax act. Moreover, the interest on the VPF amount and maturity of VPF amount is not taxable. 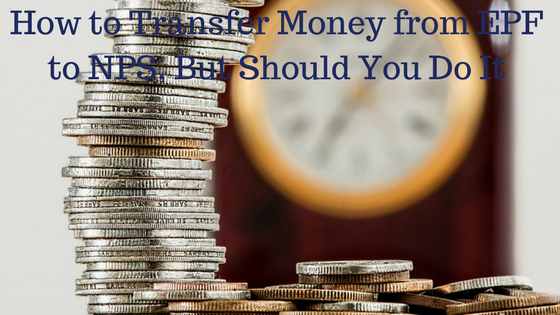 You can easily transfer the VPF amount with your EPF amount when you change the job. This has become extremely easy with the use of Universal Account Number or UAN. The amount can be withdrawn when you retire from the service or resign from current organisation and decide not to continue as an employee. The PF gives you fixed rate of interest set every financial year. VPF provides the same interest as provident fund earns. Moreover, the interest is tax free in the hand of investors. The government has fixed an interest of 8.55% for the FY 2017-18. The EPF interest rate was 8.65% for the FY 2016-17. The interest rates are fixed for a year by Government of India. 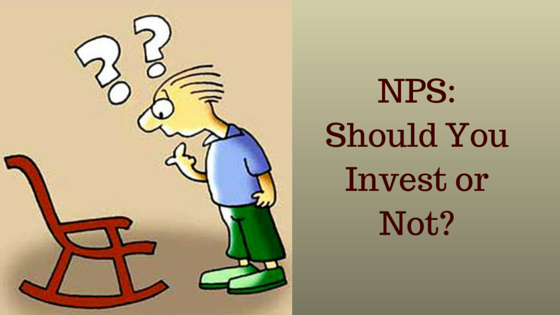 It does not change quarterly unlike small savings schemes such as PPF, SCSS, NSC etc. The tax treatment of VPF is same as EPF. It falls under EEE category of income tax which means the contribution towards VPF is tax-free, the interest earned and maturity is also tax-free. The contribution towards VPF up to Rs 1.5 Lakh can be claimed as tax-free under section 80C of income tax. You may be interested to know other top tax saving options. However, if you withdraw the VPF amount before 5 years you have to pay income tax. The opening of a VPF account is very simple. You already have an EPF account with your employer. You need to intimate your employer to deduct the percentage of basic salary which can be deducted as VPF contribution. You can contribute up to 88% of your basic salary towards VPF contribution. PPF and VPF are two popular savings scheme among Indian citizens. PPF and VPF are different in the following aspects. A VPF account can be opened by existing EPF subscriber whereas a PPF account can be opened by any person. The person may be employed working in an unorganized sector or even unemployed also. PPF interest rate is linked with the 10 year government bond yield and EPF/VPF rate is decided by Government of India. In the Financial year 2017-18 the VPF gives a return of 8.55% whereas the PPF fetches average interest of 7.8%. So you can easily feel that the interest rate is higher in VPF compared to PPF. So if you have PF facility you can seriously think of VPF over PPF. In case of PPF account the deposited amount can be withdrawn until maturity of 15 years. You have to be invested till the retirement or resignation for withdrawing money from VPF account. The tax treatment of VPF and PPF are same for all three steps, during investing, interest accumulation and maturity. You can invest entire basic salary to VPF. A maximum of Rs 1.5 lakh can be invested in a PPF account. If you want to invest more than Rs 1.5 lakh you can go for VPF option or a combination of VPF and PPF investment. The only flexibility you can have in PPF is that you can deposit amount at your choice in any time during the financial year. The account can be maintained by depositing as low as Rs 500 in a year. In case of VPF, the employee needs to intimate the employer about the VPF deduction. The employer process the request once or twice a year in maximum cases. Hence, once you declare about the investment it cannot be changed in midway. You have to continue with or without investment throughout the year. Those who are having salary fluctuations may not take the advantage of VPF and they have to depend on PPF. Explore various Post office savings Schemes and their latest interest rates. The VPF facility can be extended to the persons who fall under salaried class and have PF account. Those who are self-employed or working with unorganized sector without having PF facility cannot take the VPF advantage. The VPF interest rate is set by Government of India every year. The interest rate can be reduced in future. Though the interest rate is high historically compared to the PPF and other small savings scheme it can happen in future that VPF interest rate may be reduced significantly. You cannot change your contribution to VPF in the middle of a year. As said earlier, the companies process VPF contribution request once or twice in a year you cannot change your VPF contribution rate in between and you have to wait for the next date to change the rate. When you contribute to the VPF account it accumulates in the same EPF account which you have with your employer. The withdrawals rules of EPF are applicable to withdraw the VPF amount also. The VPF amount can be withdrawn fully and partially. When you take retirement of leave the job permanently you can withdraw EPF/ VPF amount. The Universal Account number or UAN has made the job very easy. The processing of withdrawing the VPF amount is now easy and transparent. It does not even require your past employer’s signature/ approval. Here is a handy guide how you can withdraw money from VPF account. You can also submit the PF withdrawal application form to the regional PF office and request for a PF withdrawal. But the UAN based application will be processed much faster than the offline application. If you already have UAN account with your past employer but still not connected with the EPF accounts with present employer do link the PF accounts with same UAN. You can make it online through EPFO website. The partial withdrawal of VPF amount is also possible for some reasons such as purchase/ construction of house, Children’s education, Marriage, Medical treatment etc. Click here to check the detailed rules, taxation and procedure when you withdraw VPF amount partially for the predefined reasons. Voluntary Provident Fund or VPF is a good option for retirement savings. The moderate interest rate and the disciplined investing of whole working life help you to achieve your retirement corpus. The VPF can be considered as a long-term investment option for less risk takers and can be a great retirement fund for them. If you want to be simple in investment principals consider VPF as an investment option for retirement. If you want to earn more return and build wealth can think of equity investing with a long-term view. Very good article i really want to invest more in EPF but my comany HR say no for that. Now, i know how i can invest more in EPF with the help of VPF.